How To Win Your Man, Impress Your Friends, and be a Domestic Goddess, Without (Really!) Trying. Wake up. Determine that today is the day. To all those that doubted you, you will at last prove your capabilities as a domestic goddess and grade-A culinary queen. The twenty-somethings of old had their debutante balls and introductions to society, but you will rise above them all with a dinner to outdo all dinners. Go to your luxurious library of cookbooks and search for a recipe. Or, if you’re a real person, open Pinterest. Find a recipe that looks somewhat manageable yet incredibly impressive. 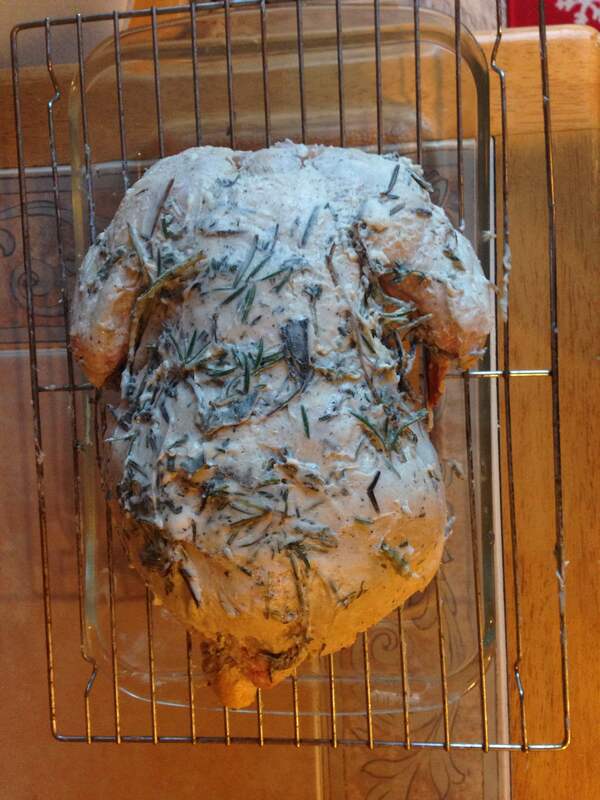 Herb Roasted Chicken: check. Go to the grocery store wearing your pajamas from last night most comfortable attire. 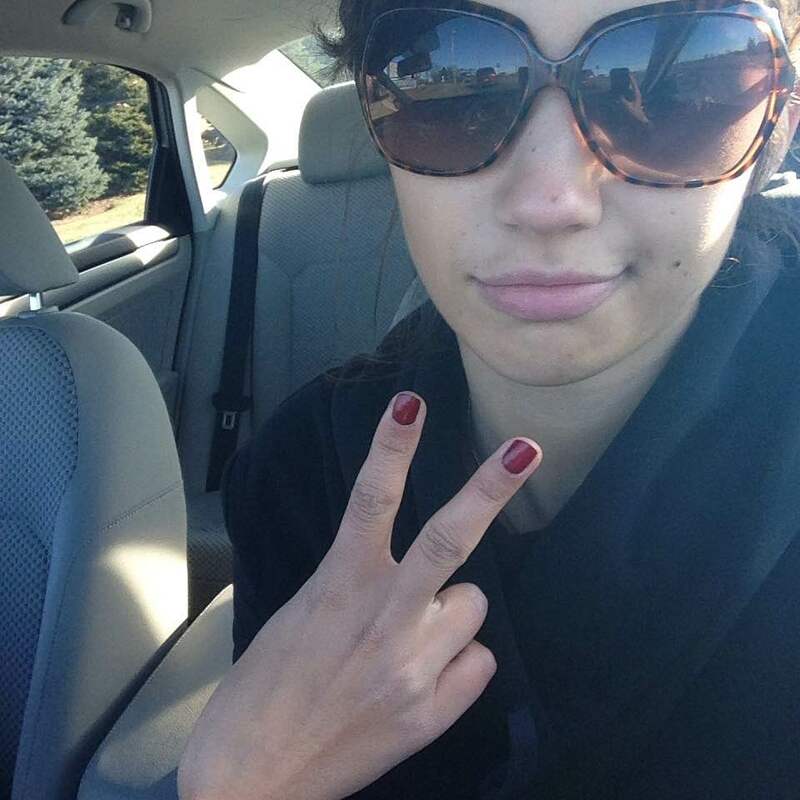 Wear glasses because you forgot to do your makeup are adding to your domestic mystique. Walk through the grocery store like a goddess, a goddess who is secretly trying to avoid awkward eye contact/running into anybody they know. You’re on a mission. Gather ingredients, as well as a few side dishes, and return home like a victor with her spoils. One of which includes a whole, raw chicken. You’ve never seen a whole, raw chicken before. Hmm. Read instructions on preparation of chicken. Open chicken and realize it’s still partially frozen. Run cold water over chicken and start singing tunes from that overwatched Disney musical, and slowly begin to hate yourself. Read: “Remove giblet and neck from inner cavity, and discard or use for dressing or gravy.” Realize that your collegiate studies on anatomy have not prepared you for this kind of dissection. Laugh nervously to yourself. 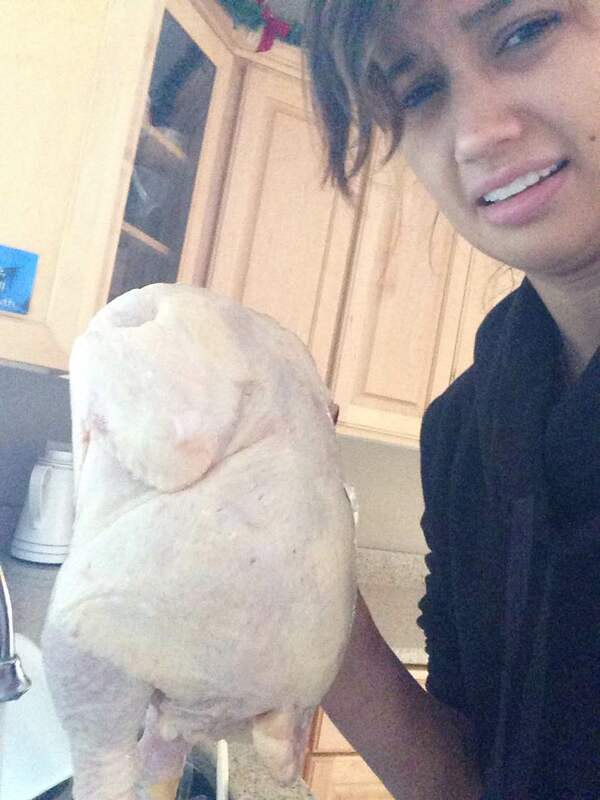 Awkwardly cradle chicken in your arms as you reach into it and pull out parts that you suppose go into McNuggets. Resist the urge to heave, then resolve to become vegan and join PETA. Set chicken on rack and pat down with paper towel to dry. Place in refrigerator and take deep breaths. Wash hands thoroughly of chicken and your burdening guilt. Dinner isn’t until 6, so it’s playtime! Help yourself to a cup of tea. Paint your nails a daring and sophisticated red while you yell at your television over Nick and Jess breaking up on New Girl. Wonder if Zooey Deschanel has ever made a roast chicken. She probably has. Jerk. Realize you’ve wasted enough time and are probably running late for dinner. Read instructions on how to prepare herb butter. Begin to chop herbs and realize that none of your knives are sharp. Start to panic, but remember that your parents got you a nifty Black & Decker chopper for Christmas, because you’re old now and kitchen appliances actually have a childish fascination to them. Rip that chopper out of its box and get to work. Add a stick of butter and channel your inner Paula Deen. Realize you could get a degree in Herb Butter making, and it would be probably as useful as your current degree. Slather chicken in herb butter while whispering sweet nothings in its ear. Realize that if anybody were to find you doing this in your kitchen, they unfortunately wouldn’t be surprised. Read that you need “kitchen twine” to tie legs of chicken together. Chuckle to yourself as you think that the only person who would own kitchen twine probably works out five times a week and goes to church every Sunday. Wish that you were a kitchen twine kind of girl. Accept that you’re not, and make do with some green thread you found lying around. Hope that it doesn’t catch on fire. Send frantic prayers over your slathered chicken as it goes into the oven for an hour and a half. Listen to the chicken sizzling in the oven with a sense of pride. 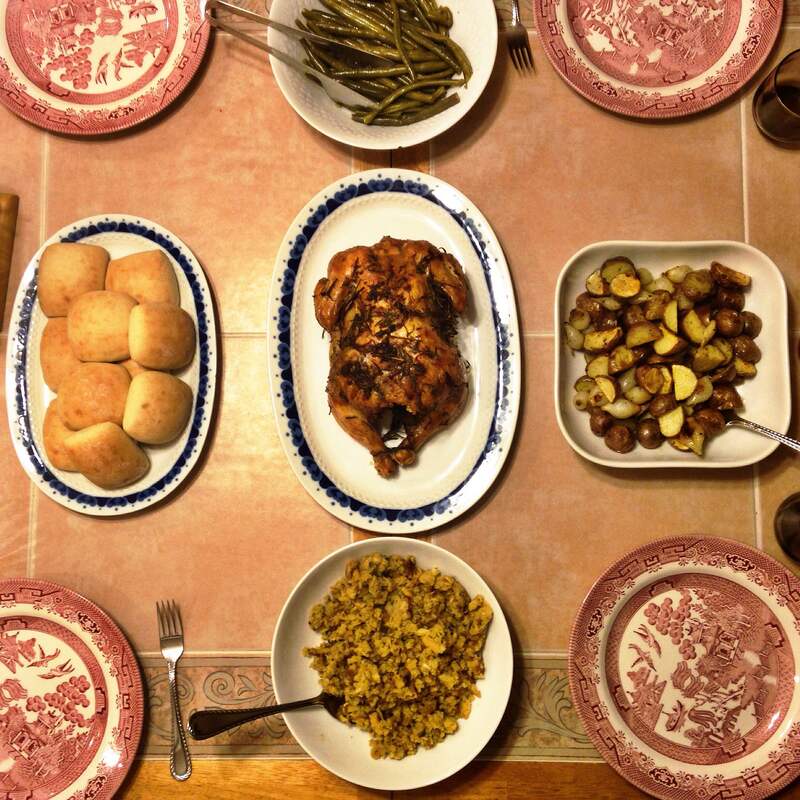 Decide to get working on side dishes: roasted potatoes with pearl onions, chicken dressing, green beans, and rolls. Whisk through the rest of the dishes with surprising ease. Yes, it’s true, maybe the rolls are frozen and the stuffing came from a box, but YOU ARE IN THE ZONE. Nobody is gonna bring you down. Begin singing “Defying Gravity” from Wicked, using a spatula as a microphone. Have a dance party in your kitchen. Realize you’re hungry and microwave the Pizza Rolls you bought in case this whole thing went to the dogs. Slice, dice, chop, and rock your way through the remainder of the recipes. You got this. You totally got this. Wedding bells are on the horizon! Check on your little five pound peeper to realize that it’s got half an hour to go, and nothing has exploded or burned (yet). Coast is clear. It’s crunch time. There’s half an hour on the clock and company will be over any minute. You feel like those people on Chopped, except with a little less skill and a little more alcohol. Fumble your way around the kitchen table, setting places, lighting candles, the works. Presentation has to be on par or you’ll get no points, and you’ve come too far to lose. Fifteen minutes. You take this moment to put your hair up, swipe on some lipstick, trade those sweats for an equally effortless sweater and leggings. You smell like chicken, so a generous dousing of Chanel no. 5 is necessary. You wish you owned Chanel no. 5, but find that Taylor Swift’s Wonderstruck will do in a pinch. Pray that a smoke alarm doesn’t go off, and dash back downstairs and find everything…surprisingly in order. Time to test the chicken. Grab a meat thermometer and reach in the oven, inevitably to scald your hand to the fifteenth degree. There is no rest for the wicked. Cursing, you run over to the sink and run water on it…drinks. You forgot drinks, and the half-drunk bottle of Coke in the fridge isn’t going to cut it. Chicken’s out. Rolls out. Potatoes out. Slather butter and the love of Jesus on everything. You’re plating things and putting them on the table just as the doorbell rings. Neglect answering the door for two minutes while you take photos. This is your Instagram moment, and nobody’s going to take it away from you. Pleasantries are exchanged. Drinks are poured, heads are bowed, and for a moment, you drink in the sweet sound of silence, interrupted by the occasional scraping of a fork or grunt of contentment. This is your moment, and you have absolutely shined. Bonus points because you tucked any evidence of boxes or freezer-bought items safely in the trash can. It’s the secret you’ll carry to the grave. You’re not a failure! If you can tackle this, childbirth will be a BREEZE. Hope you had as much fun reading about this mess as I did making it.